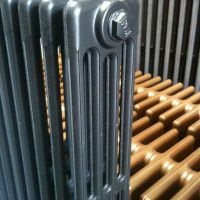 We have renovated literally thousands of traditional cast-iron radiators in the last 20 years. Services offered range from simply painting or blast-cleaning to full renovation. Old radiators are grit-blasted to remove old paint and any surface rust, the old fittings are changed to fit modern heating systems if desired then the radiator is pressure tested to detect any leaks. After priming we can paint radiators in any colour needed. Traditional white, as well as bronze, gold and gunmetal colours are very popular, and always kept in stock. We renovate a great deal of traditional cast iron radiators for Glasgow Architectural Salvage (G.A.S), who hold Scotland's largest stock of radiators, and can also help source specific radiators for our customers. 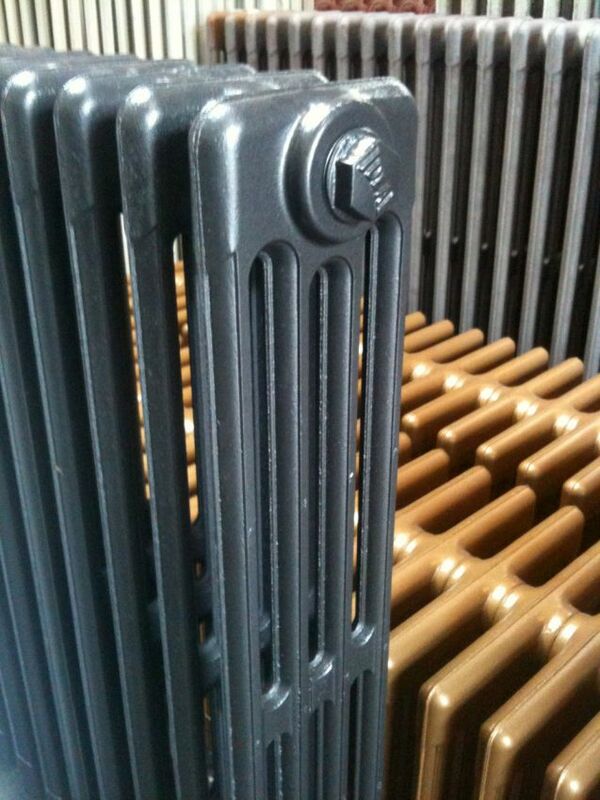 Modern steel radiators and towel-radiators can be powdercoated in a range of colours. Please telephone or email us for advice or quotations (An accurate price can be offered if we are given the height in inches, and the number of sections and columns of a radiator).